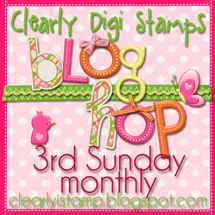 We have a winner to announce from our 'Sentiments Only' blog hop! Congratulations Julie of Last Minute Crafter, you were chosen from Angela's blog, Just Monkeying Around, as our August Blog Hop winner! Yay!!! I have a wish list :>) I can't wait to go shopping!